Spellman will have plenty of time to listen after May 2, when he retires from the arts organization. In honor of his service, the NEA Jazz Masters program renamed one of its honors the A.B. Spellman Award for Jazz Advocacy. Spellman was a young poet with a fresh degree from Howard University when he moved to New York in 1957, where he spent the next decade immersed in the jazz scene. In addition to poetry, he also wrote articles on jazz and politics and copious LP liner notes. In 1966 Spellman published one of the great books of jazz criticism, Four Lives in the Bebop Business, which was brought back into print in 2004 with the title Four Jazz Lives (University of Michigan Press). Spellman’s book follows the lives of jazz musicians Ornette Coleman, Cecil Taylor, Jackie McLean and Herbie Nichols. Nichols, the ill-fated pianist who died not long after Spellman interviewed him, nearly faded into obscurity. But since Nichols’ critical revival, all four musicians can claim an influence on modern jazz, so prescient were Spellman’s choices. The author allowed his subjects to present themselves in their own voice. Spellman relates their personal histories in some depth, most often in long, unbroken quotes directly from the source. Though the four musicians led dissimilar lives and developed unique approaches to their music, they all lived and worked in the same difficult industry-the jazz business. It was in that subject that the activist Spellman found a backbone for his book. Originally, Spellman planned to include John Coltrane in his book, but the saxophonist turned him down. “I really regret that he would not consent to be included,” Spellman says. “I later approached him again about doing a biography-this was about the time of A Love Supreme. He thought that it was a transitional period in his life. He was getting into Sufic studies and was undergoing a change in consciousness. He thought that he wanted to resolve all of that before he would consent to have his story told. I thought his voice-not as a musician but as a speaker-would be very important to get down, to capture his point of view. It’s been 40 years since the publication of Four Lives in the Bebop Business and 30 years since he gave up poetry and jazz criticism for the endowment business, but Spellman is still an advocate for jazz musicians. Spellman left New York for Atlanta in the late ’60s. 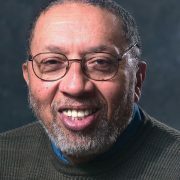 Being so far from the center of jazz made it difficult to write about it, and he largely stopped writing criticism as an arts administrator with the NEA and as part of the NEA’s Jazz Masters program. But Spellman has never lost touch with the music, even if it has changed quite a bit since the days when he wrote Four Lives. With his retirement, Spellman says he’ll finish up a poetry manuscript, and he’s looking to publish again for the first time in decades. He also admits that jazz criticism has crossed his mind once or twice.